The individual ability of each of these musicians, and their strong energy as they play and create together, make triple ace – colours in jazz an outstanding trio. 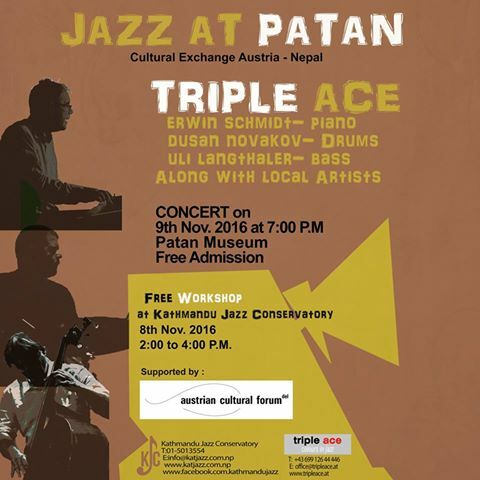 Triple ace – colours in jazz have played at jazz festivals throughout Europe as well as at International Jazz Festivals in the USA, Cuba, Israel, China, Vietnam, Thailand, Indonesia, Russia, Mongolia, Mexico, Tunesia, Ukraine and South-Africa. We are excited and honored to have Triple Ace in Nepal.